Craig Tara passes are not included. Please enter how many adults and children in your Party. 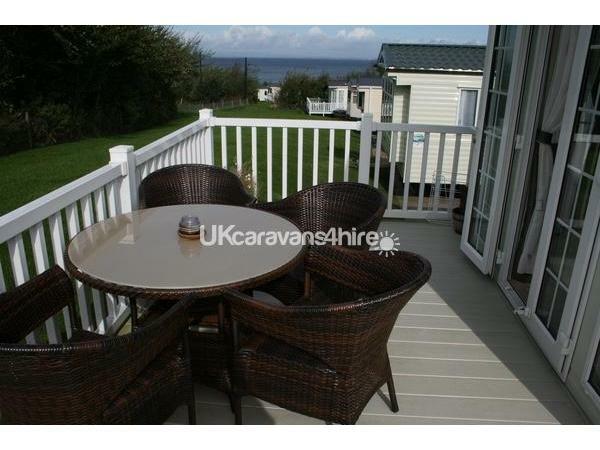 Stunning Swift Sheraton caravan with wrap around decking and sea views, this caravan is located on the first hole of the nine hole golf course watch the golfers on our decking while having breakfast. 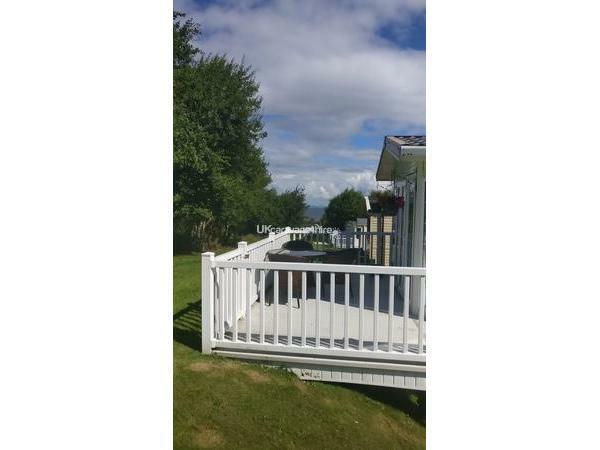 Fully double glazed with central heating and washing machine, full sized kitchen with all utensils with gas cooker and full sized fridge and microwave oven. Two bedroom 1 with ensuite faculties and 1 main bathroom kingsize bed in double with TVs/dvd and two singles in twin with tv/dvd. In the lounge there fold down bed sofa that sleeps two. There is 32 inch flat to/DVDs with free view and electric fire. Altogether a home from home.